If you’re looking for a dock that works with pretty much any combination of iOS device and case, an interesting new project has hit Kickstarter – the Sarvi Dock. Here’s a quick video about the project. Click here if you can’t see it. Using micro suction technology along with an adjustable connector receiver, the Sarvi can easily dock and undock any device, no matter the case. Buyers will have to provide their own Lightning or 30-pin cable. A 15-degree adjustment range even allows the dock to support iOS devices without any case protection. With 40 days left to go in the campaign, almost $2,500 has been pledged on a $44,000 goal. For a $49 pledge, you can snag a black or white Sarvi that comes complete with a 30-pin and Lightning connector kit. A limited edition green stand can be yours for a $69 pledge and also comes with the two connection kits. All rewards are estimated to ship in January. I think the Sarvi definitely looks like an interesting concept. 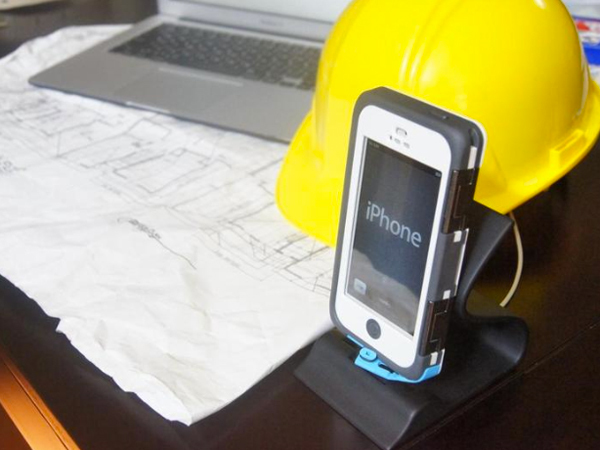 While it leverages features of two recent docks that hit the market – the HiRise from Twelve South and the SETA/NanoTek stand – the fact that the dock is compatible with the myriad of iOS devices and cases makes it an interesting choice. I just don’t know if $49 is worth it for a stand, especially when users need to provide their own connection cable.